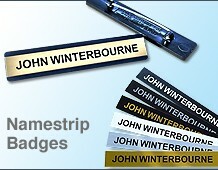 This website is for basic namebadges in frames. 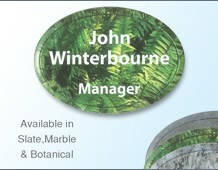 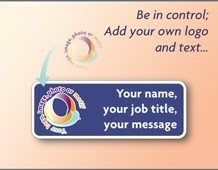 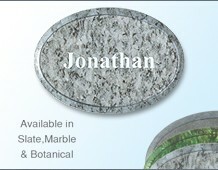 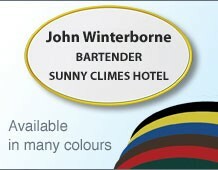 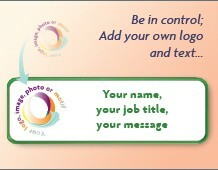 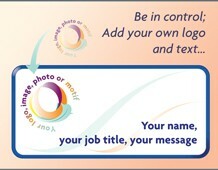 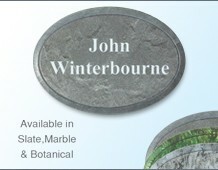 If you would like us to print and personalise these for you, as shown in this panel, then please contact us. 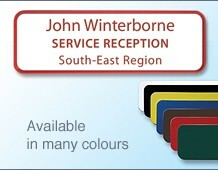 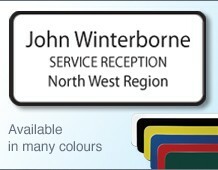 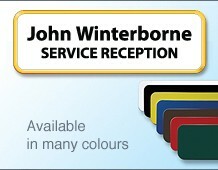 Name badges in brightly coloured frames. Namebadges in tough coloured moulded frames that look very professional, add your names and titles into the box provided; we'll print and ship them to you quickly (typically the next working day). 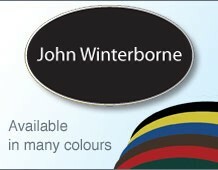 They're hard-wearing, with safe round corners and come with a choice of fittings. 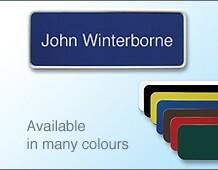 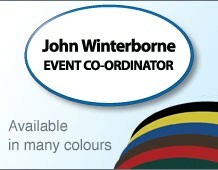 A wide range of colours are available in red, green, yellow, blue, black, white and grey.